Hobbits probably grow asparagus all over the Shire and pluck them right out of the ground as a crunchy, healthy snack! Be sure to get lovely, thick asparagus stalks for this roasted recipe; skip the sauce and change your oil flavor for variety. Please follow this link to my blog for the Savory Seasoning recipe! Or, I’ll make you a batch—head over to my Etsy Shop Elegant Sufficiencies and order your own: Savory Seasoning in a Jar or (the cheaper version) Savory Seasoning in a Ziploc Bag. Preheat oven to 400°. Lightly coat an 11″ by 7″ baking dish with cooking spray. Wash asparagus, line up heads on a cutting board, and cut off the bottom 2″ or so, so all the stalks are about 6½” long. Place in dish. Drizzle with almond oil and sprinkle with ½ teaspoon “Shire Seasoning.” Roast about 15-20 minutes until they are fork tender. Stir every 5 minutes. Meanwhile, in a 1-quart saucepan, whisk together the mustard, cream, wine, and ½ teaspoon “Shire Seasoning.” Bring to a boil, then reduce to a low simmer. Whisk in the sour cream and simmer 1 minute; do not boil. 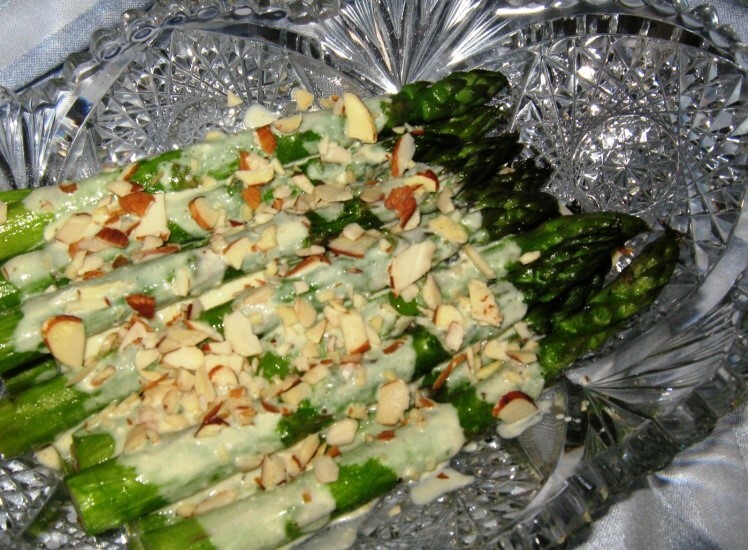 Right before serving, pour this over asparagus; sprinkle with sliced almonds. Cover and refrigerate leftovers. Serves 12. Also known by the same name in my cookbook. Astrid Tuttle Winegar is the author of Cooking for Halflings & Monsters: 111 Comfy, Cozy Recipes for Fantasy-Loving Souls, which is currently available exclusively in e-book form on the Amazon Kindle, but will soon be released by Oloris Publishing! Stay tuned for details. For now, she is mostly telling a culinary Middle-earth story here on Legendarium. 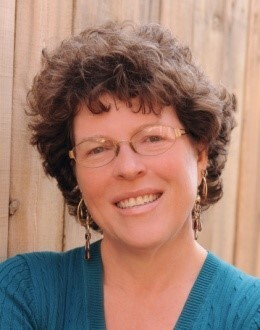 Astrid has loved C. S. Lewis since childhood, J. R. R. Tolkien since middle and high school, all Star things, both Trek and Wars, all things Whedon, and many other things besides… She lives in the enchanted city of Albuquerque, New Mexico, with her husband and dog. She blogs occasionally at Cooking for Halflings & Monsters. You can check out (and like!) her Facebook page or visit (and follow!) her Twitter feed. Staff Reporter. This post comes from a valued Legendarium Media contributor. If you want to contribute content, we would love to hear from you.